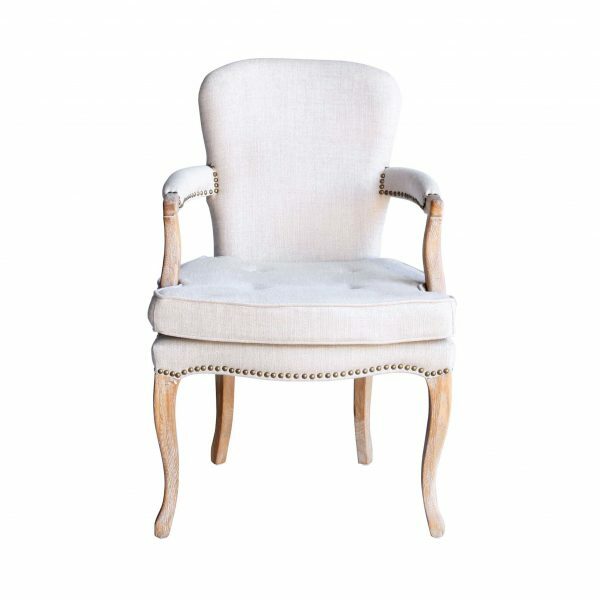 The Aubrie Armchair’s seat cushion offers plenty of padding for comfortable seating, whether you’re having a quick bite to eat or entertaining guests. It has a classic style button pattern that adds a beautiful contrast to its stylish frame. 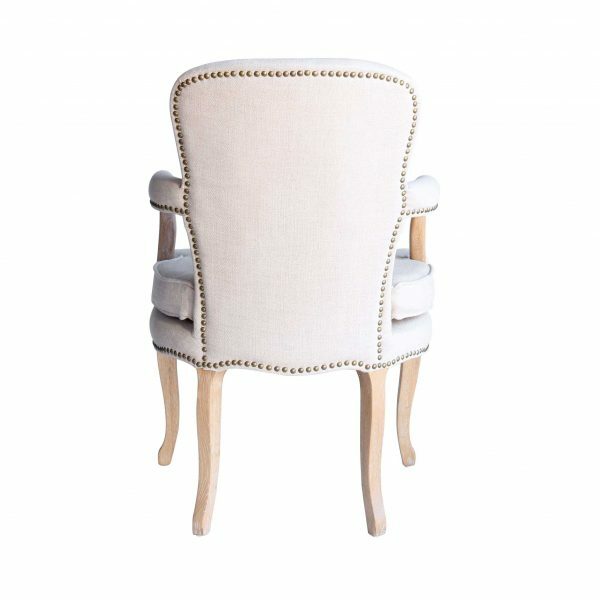 This Aubrie Linen Dining Armchair with Bronze Studs is a delicate, intricate masterpiece. Its finer details will ensure it is the masterpiece of your home. 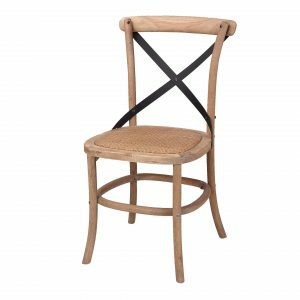 It offers a classical antique style which compliments a variety of dining room décor. 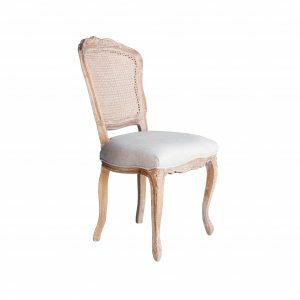 The base, back, arms and seat cushion are covered with a neutral and authentic oatmeal-coloured linen material creating an authentic European style look. Fine bronze studs line the bottom of the arms and the base top to provide both style and a stunning, yet gentle contrast. 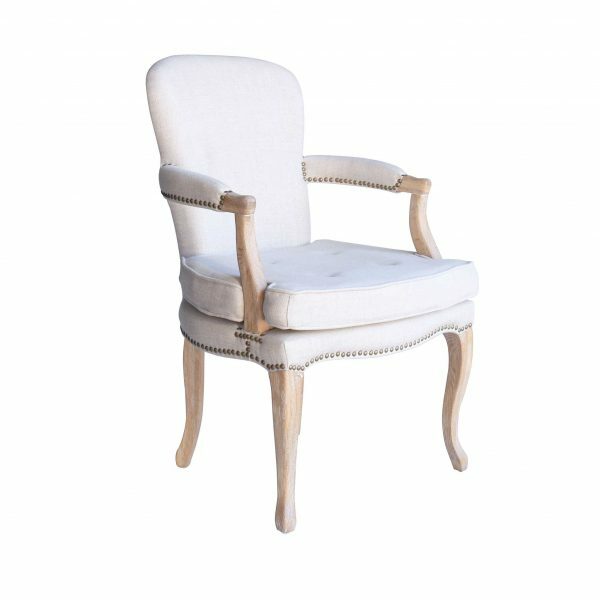 You’ll love this french provincial furniture with romantic style legs and arms whose feature gentle curves which complement the wonderful and detailed wood grain texture. 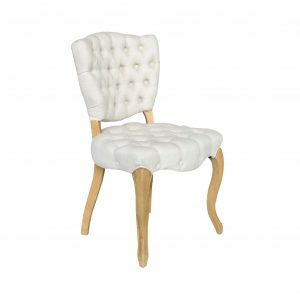 The seat cushion offers plenty of padding for comfortable seating, whether you’re having a quick bite to eat or entertaining guests. It has a classic style button pattern that adds a beautiful contrast to its stylish frame.